Do you remember the Sokal affair? Mathematical physicist Alan Sokal submitted a fake paper titled “Transgressing the Boundaries: Towards a Transformative Hermeneutics of Quantum Gravity” to a postmodern cultural studies journal Social Text. Well, it was a real paper, but it was a hoax. It was written as a hoax, cobbling together the silliest tropes he could find about social construction of science and left-wing politics. Once it was published, he used it as a club to beat up on postmodern theory, and the humanities more generally. Many self-satisfied scientists claimed, at the time, that this confirmed all their worst suspicions about the emptiness of academic jargon-spinning in the humanities and social-scientists. The implication — sometimes made explicit — was that the reverse could never happen, that scientists know exactly what their terms mean, and could never be fooled by such a prank. Confirming me in my opinion that the whole system of peer review has outlived its usefulness, and is now living on as a vestigial parasite on the scientific enterprise. Anyway, Springer has now thrown down the gauntlet, and young computer scientists should rise to the challenge of improving SCIgen, to fool the new software. We may see an accelerating arms race in scientific publishing, a kind of reverse Turing Test, with computers trying to fool other computers into believing that they are computer scientists. In the end, maybe the software will get so good that it will be doing original research and writing real scientific papers. I am of two minds about efforts to put pressure on particularly bad actors in the scientific publishing field (such as Elsevier) to reform, since the result of that reform would be a slightly less greedy ectoparasite sucking the blood of the research community, slightly more sustainably. I think (as I wrote here) that the whole model of peer review is antiquated and oppressive and (as the British like to say) no longer fit for purpose. Perhaps we should seek to sharpen the contradictions, in the hopes that the academic proletariat will shake off these leeches. We should strive to make all journals like Elsevier, and double the prices. 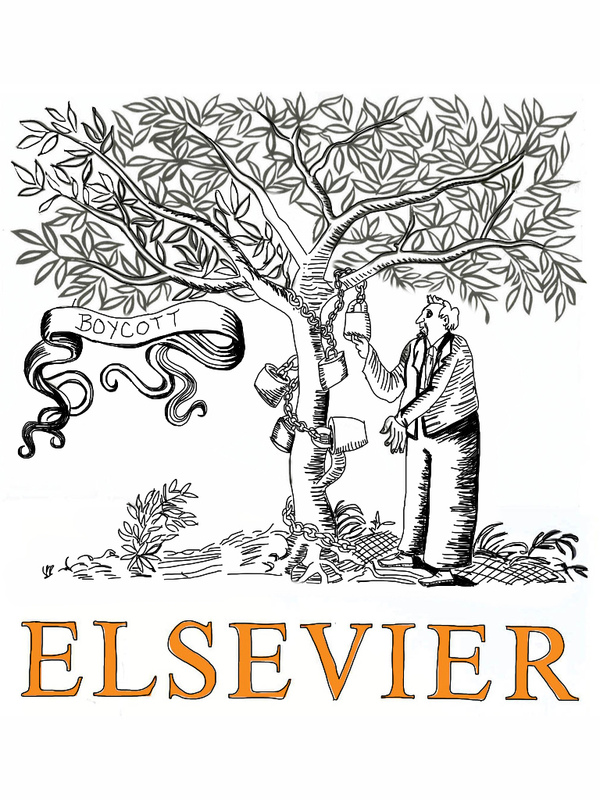 I think that everyone should submit as much of their work to Elsevier as they possibly can. Any article that has even a modest chance of success. People should bear through the revise and resubmit process as many times as it takes. Once the piece has finally been accepted, then, and only then, should they withdraw the article from consideration, and then publish it on their university or personal website with an “accepted by Elsevier Journal x and then withdrawn in protest,” together with a copy of the acceptance email (containing the editor’s email address etc). Author steinsaltzPosted on April 21, 2014 April 21, 2014 Categories AcademicTags academic publishing, protestLeave a comment on Boycott Elsevier or not? The peer-review fetish: Let’s abolish the gold standard! I’ve just been reading two books on the climate-change debate, both focusing on the so-called “hockey stick graph”: Michael Mann’s The Hockey Stick and the Climate Wars: Dispatches from the Front Lines, and A. W. Montford’s The Hockey Stick Illusion: Climategate and the Corruption of Science. I’ll comment on these in a later post, but right now I want to comment on the totemic role that the strange ritual of anonymous peer review plays for the gatekeepers of science. One commonly hears that anonymous peer review (henceforth APR) is the “gold standard” for scientific papers. 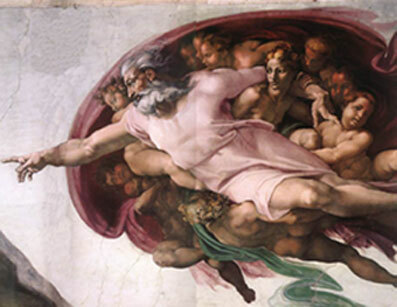 Now, this is a reasonable description, in that the gold standard was a system that long outlived its usefulness, constraining growth and innovation by attempting to measure something that is inherently fluid and abstract by an arbitrary concrete criterion, and persisting through the vested interests of a few and deficient imagination of the many. That’s not usually what people mean, though. An article is submitted to a journal. An editor has read it and decided to include it. It appears in print. What does APR add to this? It means that the editor also solicited the opinion of at least one other person (the “referee(s)”). That’s it. The opinion may have been expressed in three lines or less. She may have ignored the opinion. They are anonymous. We know how well that works for raising the tone of blog comments. No one will ever take issue with any positive remarks the referee makes, as no one but the authors (and the editor) will ever see them. Negative comments, on the other hand, may get pushback from the author, and thus need to be justified, requiring far more work. Normally, the author will be forced to demonstrate that she has taken the referee’s criticism to heart, no matter how petty or subjective. This encourages the referee to adopt an Olympian stance, passing judgement on what by rights ought to be the author’s prerogative. Author steinsaltzPosted on August 25, 2013 August 25, 2013 Categories AcademicTags academic publishing, mathematics, science, universities4 Comments on The peer-review fetish: Let’s abolish the gold standard!